This chapter covers the building blocks for designing, building and evaluating a telemedicine, Simulation Based Training (SBT) platform that leverages a Wizard of OZ (WOZ) concept. The idea behind a WOZ concept is to keep a human trainer in the loop, during computerized training, to support and assist in enhanced learning. SBT provides learners a risk-free environment to make mistakes and learn, especially in fields like medicine and aviation, where mistakes can be very expensive. Combining SBT with the WOZ concept and integrating them into a telemedicine platform results in benefits to patients and doctors in remote and less developed countries. The two most important pieces of a WOZ Telemedicine Simulator are the platform used to enable interaction between learners, trainers and the medical context that should be properly built, and targeting effective learning. A Telemedicine WOZ platform should support remote training, be low cost, widely accessible on most devices (windows, macs, android…) and has the flexibility to support different types of medical fields and different types of training modes, such as automated e-learning compared to instructor-led training. Medical context should be based on real cases (to prevent medical inaccuracies), and include a predefined story (presented as case questions), support a variety of media objects and include best practice answers as a reference point for trainers. The final piece before implementing a Telemedicine WOZ platform is evaluating its contribution to enhanced learning. Evaluation can easily be achieved using simple statistical methods for hypothesis testing, comparing two or more different training methods or evaluating the knowledge gains before and after training. In some cases, actual verification can be accomplished by comparing actual data before and after training, for example, measuring the amount of yearly exposures to ionizing radiation before and after training in a radiation protection course based on the trainer. Discussing the benefits of a Telemedicine WOZ Simulator program. Discussing key principles for designing and building a Telemedicine WOZ Simulator. Discussing key points for evaluating a Telemedicine WOZ Simulator. 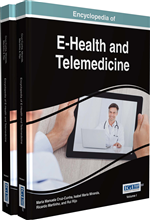 Telemedicine uses telecommunications technologies to improve medical outcomes in remote and less accessible environments (Bangert, Doktor, & Johonson, 2001). Telemedicine encapsulates known concepts to achieve its goals, for example remote diagnosis, operations and treatments using dedicated hardware, remote consultations, remote training and remote knowledge sharing. The main goal of a telemedicine program is to accomplish actual learning and knowledge transfer. Klein (2006) describes the traditional approach for learning by its objectives as the gap between the knowledge a person has and the knowledge he needs to perform a certain task. Klein (2006) also argues that the conventional concept of cognitive skill improvement via practice, feedback and accumulation of knowledge rarely applies to cognitive skills, contrary to behavioral skills. The cognitive learning process relates to our ability to change our beliefs, the way we see and understand events and not just the addition of information to our knowledge base. The traditional learning approach assumes that knowledge gaps can be filled by a course provided with feedback (Hoheisel, 2000). This approach, also called the storehouse metaphor, may be relevant to simple procedures but may fall short when dealing with complex cognitive learning (Klein and Baxter, 2006). The drawbacks in traditional learning called for more advanced techniques of training, such as discovery learning, team learning, problem-based learning and simulation-based learning. Telemedicine: A platform for transferring medical knowledge and expertise, between parties, remotely, preferably online or in a short time frame. Transfer of medical knowledge remotely can support diagnosis, consultation, teaching, training and operating. The goal of telemedicine is to improve the quality of medicine in remote areas using telecommunication technologies. Interactive: A live dialogue between two or more subjects: humans or computers and all possible combinations of the two. Simulation: A model that targets practice, preparation and learning of real or imaginary, physical or abstract, part or whole of a system, process, service, product or idea. The model can vary from low to high fidelity. Trainer: A person or a system that targets improving a subject's (person, animal or machine) knowledge, skills or technique in a specific area. System Evaluation: Testing/validating if a system achieves its predefined goals. E-Learning: Training done by a computer on prepared materials. Wizard of Oz: Interaction between two or more people, through a computerized interface, where one side is left in the belief that he is interacting fully or partially with a machine (computer).